Time for some serious family bonding! 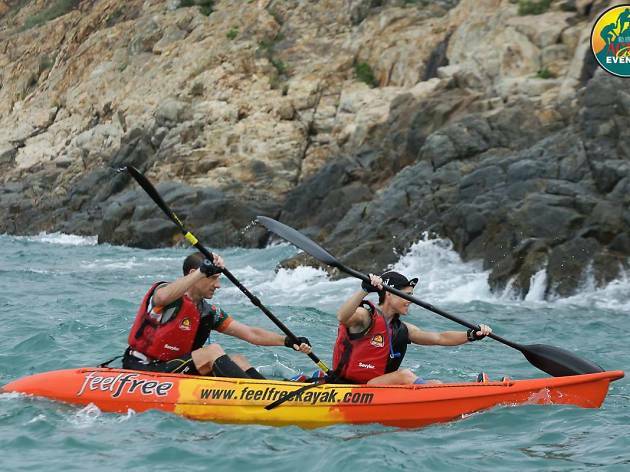 This edition of the Kayak n Run family fun race invites one parent and one child to pair up to tackle a 1.4km paddle from Nim Shue Wan to Cheung Sha Lan and back before heading for a short 3kmm run out on the coastline. 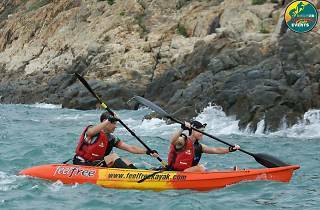 For a tougher challenge, there’s a similar adult race consisting a 3km paddle from Nim Shue Wan to Man Kok Tsui, a 5k trail run along the scenic coastline before another 3km kayak back to Min Shue Wan. All participants get a free beach towel and kayaks provided!